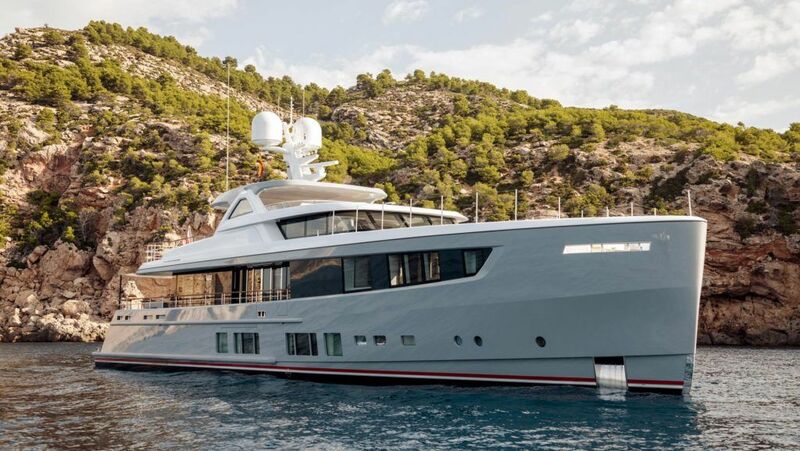 Mulder Shipyard is a “one-stop-shop” for her clients. With the recent sale of the Mulder 76 Flybridge “Dutchess” the synergy of her three key pillars – new build, refit and brokerage – is once again underlined. “Dutchess” is an elegant, timeless yacht from the hand of Guido de Groot Design, and Mulder Shipyard was commissioned to build her, at the end of 2004, by very experienced owners from New Zealand. 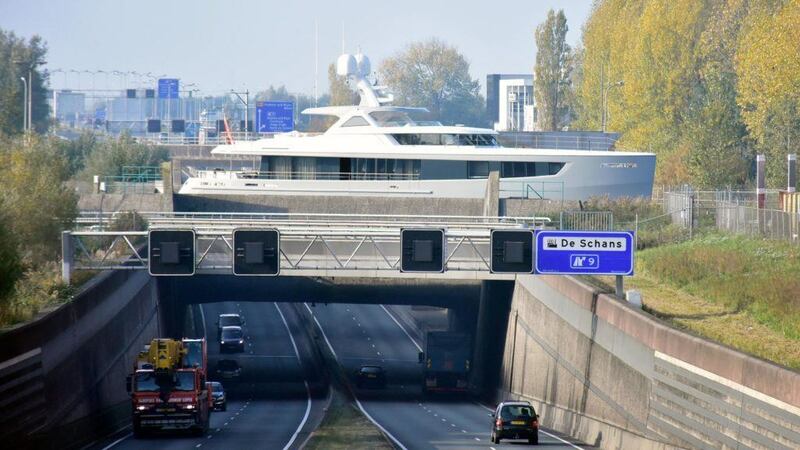 The owners were thoroughly involved with the build of the yacht, even though they lived 12,000 miles away. “Dutchess” was delivered “on time & on budget”. After a build period of over two years the extremely solid and seaworthy motoryacht was delivered to her first owners, who transported her to New Zealand following an inaugural season in the Mediterranean. After years of sailing Oceania, including a journey of 1,200 miles over the Tasman Sea from New Zealand to Australia, “Dutchess” returned back to the yard in the Summer of 2015 for major maintenance. 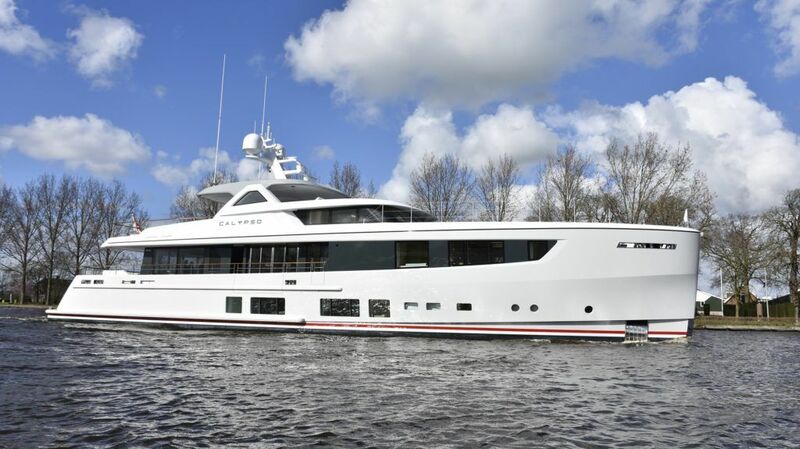 The yacht was fully repainted and offered for sale in excellent condition, berthed under cover at Mulder Shipyard in Zoeterwoude. 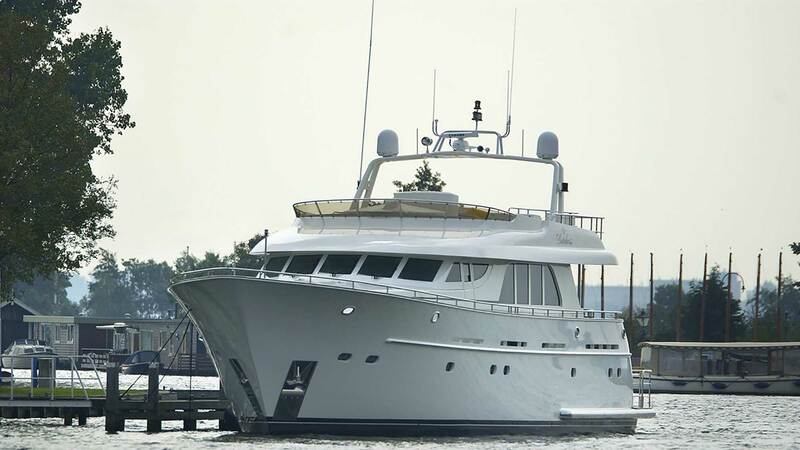 “Dutchess” has since been sold through the brokerage division of Mulder Shipyard. During the winter of 2016/2017 “Dutchess” will be thoroughly refitted according to the wishes of her new owner. She will be extended from 76 foot to 80 foot, a Seakeeper stabilization system will be built in for “zero-speed stabilization” and a large aluminium bimini will be added to the flybridge, similar to that on the earlier Mulder 73 Flybridge “Boonooroo II” and the Mulder 98 flybridge “A Squared”. The sustainable build facility of Mulder Shipyard in Zoeterwoude provides all facilities and disciplines to build yachts up to 45 metres in a very efficient manner. 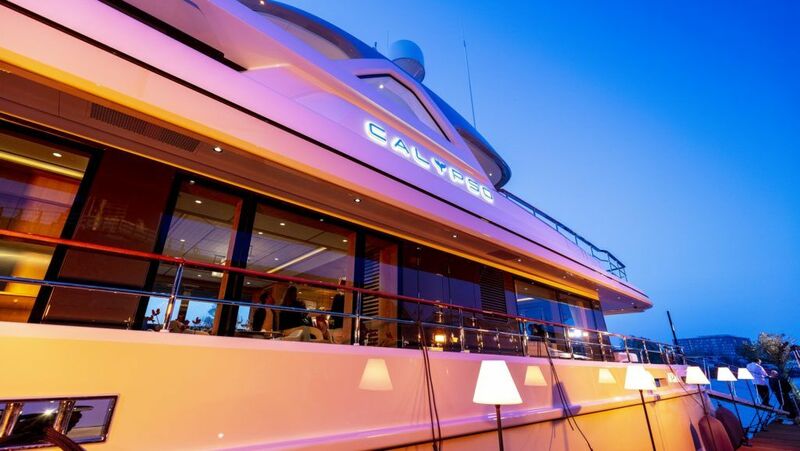 Mulder Shipyard is presently working on 25 yachts, including eight new builds ranging from 15 to 36 metres.